School has begun, the trees are beginning to change colors, and the pumpkin spice memes are already taking over the internet. It’s almost Fall, and we can’t wait for the cool weather and hot drinks so that we can curl up with some hot cocoa and quality anime. Of course, all that chilling has to include anime memes, too. You either love that it’s back, or hate it. Either way, pumpkin spice everything has become a staple of the autumn market. Rinne, well, just doesn’t have the money for that. It’ll be an okay… kind of thing. Have you heard of our savior Rory Mercury? This will give you a little insight into her glory. 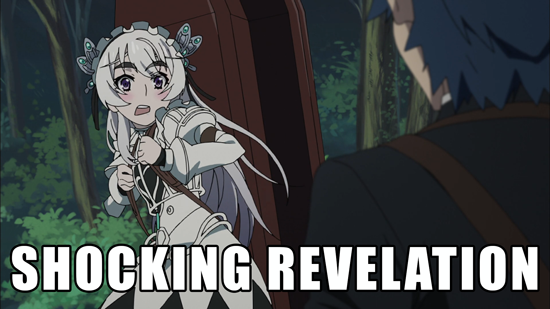 While we’re partial to the Chaika face meme, not to mention her eyebrow game, we still just love her little catchphrase so much! Her adorable speech patterns are one of her most endearing traits. Akira Hayama’s potent sense of smell and knowledge of herbs combines the research and support of scientist Jun Shiomi, making him a serious threat in the kitchen. When Ryo Kurokiba dons that red bandana, his appetite to win burns through his lethargic exterior and makes him a powerful contender. 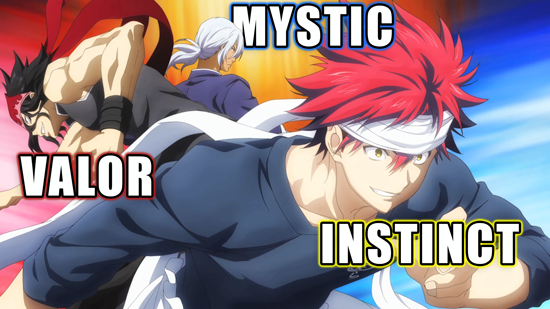 Of course, not many could trust their instincts and improv an entire cooking challenge like Soma Yukihira. Here in the Sentai offices, all teams are represented. What’s your team? Only Sakamoto could make avoiding a (misguided) thug with a bat look like a graceful dance… all while delivering an inspiring speech. 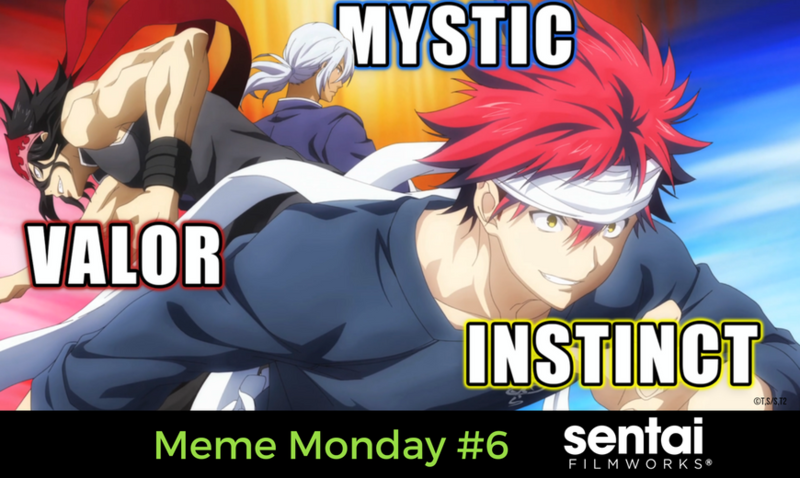 We compile a new Meme Monday every third week of the month, so stay tuned and rake in the memes like autumn leaves! What anime memes are your favorites? Let us know on Facebook, Twitter, Tumblr, Instagram and Google+.